There are a lot of benefits to scanning your company’s documents and uploading them to your computer system or to the cloud. Your documents will be much safer since there’s no risk of them disappearing or being destroyed, they’ll be easier to access through a computer system and you’ll save a ton of storage space. Most businesses don’t have top-of-the-line scanners at their disposal. Even if you do, your employees may not be specifically trained to use them. If you attempt to scan your documents in-house, you may end up with several lower quality scans, whether it’s because the scanner was of poor quality or because the document wasn’t scanned right. This can be hugely detrimental for your business, especially when you’re trying to retrieve specific documents years later only to find that the copies are illegible. Here at Modern Image, we use state-of-the-art scanners and our employees know how to use them. This means that we can ensure that every single digital copy will be of the highest possible quality – comparable to the original. 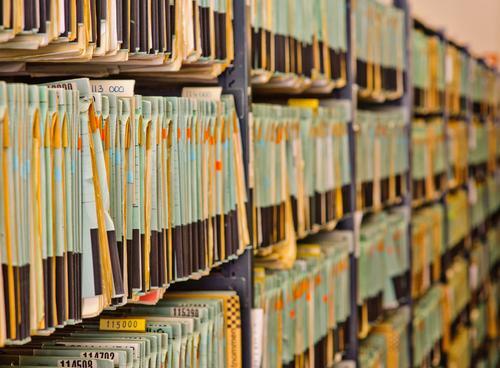 Scanning a few dozen documents isn’t difficult, but when it comes to hundreds or thousands of documents, you can expect to put some serious time into the process. It’s doubtful that any of your employees have the time needed to scan all of your company’s documents and that they have much more important tasks that they should be focusing on. Not only will outsourcing your document scanning needs help to save you time, but we can accomplish it much quicker as well because of our capability of scanning in bulk; in fact, we can scan collections of documents that consist of more than 10 million pages! You can’t just scan your documents and call it a day, you have to actually upload and organize them so that you can find them in their digital format. We will index each one of your documents using a unique file name so that you’ll have no trouble finding them. You don’t want employees that aren’t properly trained to scan, upload and organize documents to handle documents that are particularly sensitive. We will ensure that your documents are returned to you just as they originally were before the scanning process began – meaning that they will be in the same condition and the same place. If you want to get rid of the hard copies, we can do so in a safe, secure and efficient manner as well. For more information about our document scanning services, be sure to contact us at Modern Image.